5 days tour from Kathmandu or Pokhara. 4+ graded river in Middle West Nepal for steep blows expedition. Narrow and a rocky river, it is a four days run through uninterrupted water, which lies to the western part of Nepal. "Steep and challenging" Marshyangdi means "Raging River" in the local dialect and this aptly describes one of the best white water running in the world through continuous, exhilarating white water and Great Mountain scenery. We trek through charming Gurung village and arid valley for one day to reach Ngadi. Where we put in. Few rivers rival this for exhilarating white water and sustained sections of steep technical rafting test our teamwork. 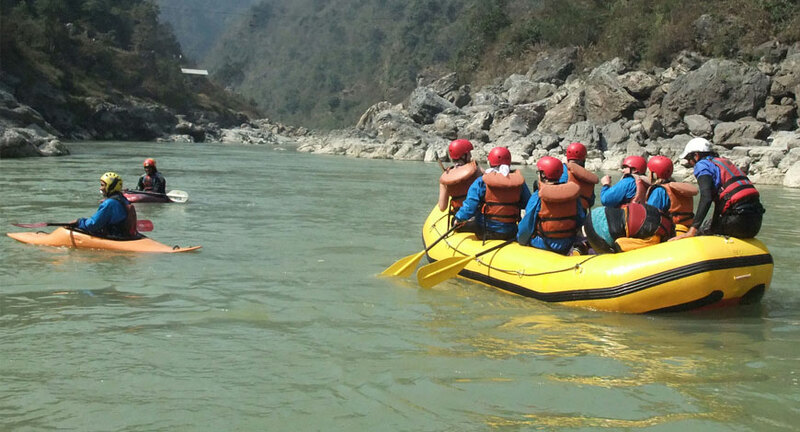 Rapids are steep, technical and consecutive making Marshyangdi a serious undertaking.